Empire Aviation Group has announced the appointment of Scott Glenn as the company’s new Director of Sales to build the global aircraft sales activity for new and pro-owned aircraft. Scott will be based in Dubai and support the company’s global operations, working especially closely with the dedicated sales office in the US, the largest private aviation market in the world. The announcement was made at the Dubai Air Show 2017, where Empire Aviation Group is marking its 10th anniversary. 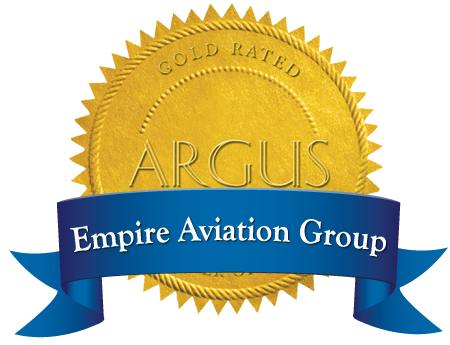 Scott Glenn has been with Empire Aviation Group since April 2014. He was part of the team that launched the US sales office and has since relocated to the company headquarters in Dubai, UAE. In his new position, Scott will work closely with clients to develop and implement plans for aircraft sales and acquisitions. Scott’s career in aviation began in 2010 when he was hired by Sojourn Aviation in the US as a Market Researcher and he then moved to sales, where he focused on client servicing and lead generation for the executive sales team, overseeing Sojourn’s marketing and advertising strategies and directing its research team. Scott Glenn graduated with honors from the College of Business Administration at Missouri State University, USA. He holds a Private Pilot’s License, is an accomplished golfer and an active member in the National Business Aviation Association and Arizona Business Aviation Association.